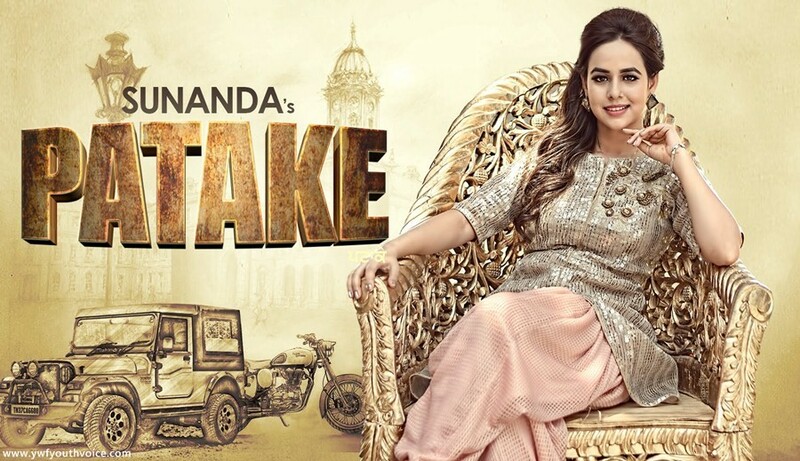 Patake - Sunanda (2016) Watch HD Punjabi Song, Read Review, View Lyrics and Music Video Ratings. Pinky Dhaliwal Presents New Punjabi Song "PATAKE" in the Energetic voice of "SUNANDA", Lyrics Penned down by "SANGDIL 47", Music by "GAG STUDIOZ", Video by "HARRY SINGH/PREET SINGH". It's one of the most energetic music video by a female artist, you see male artists doing these kind of songs everyday but this is different, this is woman power.